Science Week is an exciting and innovative annual event which the children in our school look forward to each year. As this event unfolded from the 11th – 18th November 2018, all the children in our school were transformed into “Little Einsteins” for the duration of Science Week. The fun filled events were an ideal way to develop interest in the world around us and at the same time develop the creativity of the children. Science Week gave each of the classes the opportunity to explore all areas of the Science curriculum. The children made predictions, carried out experiments and reflected on the outcomes. They experimented with forces and magnetism while other classes focused on the human body learning about their bones and skeleton. Other classes explored materials and some of the children even got the opportunity to make their own butter. The importance of conserving energy was also explored as well as the importance of reducing, re-using and recycling. Science week gave the whole school an opportunity to link all areas of the curriculum and at the same time reinforcing our Green School status. Five of our classes from Senior Infants and First Class were also very fortunate to be afforded the opportunity to attend some of the workshops which were provided by the Cavan Monaghan Science Festival. These included The Science of Flying, Focus on forces, Inventors and Their Stories and Sustainable Me. 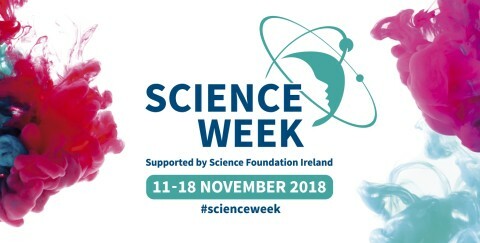 The staff of St. Louis Infant School would like to acknowledge the immense effort and contribution made by the Cavan Monaghan Science Festival in organising and providing a full on schedule of events catering for all children across the primary school spectrum for the duration of Science Week.